All things considered, Philadelphia Eagles fans did a pretty solid job keeping things above board after Sunday night's NFC Championship game. There were few arrests and the celebrations, while raucous after the Birds took down the Vikings 38-7, were overwhelmingly peaceful. That's not to say there weren't some egregious instances of Eagles fans living up (or down?) to their caricature as a disrespectful and unsportsmanlike bunch. Videos that have circulated since the game show fans throwing beer cans, shouting obscenities and giving visiting Vikings fans the middle finger outside Lincoln Financial Field. Just today, a Vikings fan from Kentucky published an open letter in the Star Tribune castigating Eagles fans and the city of Philadelphia. "I am not sure how it became culturally acceptable in Philadelphia to behave in such a manner, but it’s a shame," the writer lamented. "I was literally embarrassed to be a human." This sort of commentary doesn't sit well with Philadelphians who know better than to act in such a hostile manner, even with so much on the line in terms of sports and history. The Mike Zimmer Foundation, created by the Vikings head coach to honor his late wife, Vikki, has received about $7,000 in donations from Eagles fans since the NFC Championship game, according to ESPN. "We are just under $7,000 as of this morning and the donations keep rolling in," Zimmer's daughter, Corri, told ESPN. "They started coming in yesterday morning, sent with messages from Eagles fans apologizing for the bad apples and wanted to donate to show that they all are not like that. A lot of them also congratulated us on our season, complimented our team and said they look forward to competing against us next year." 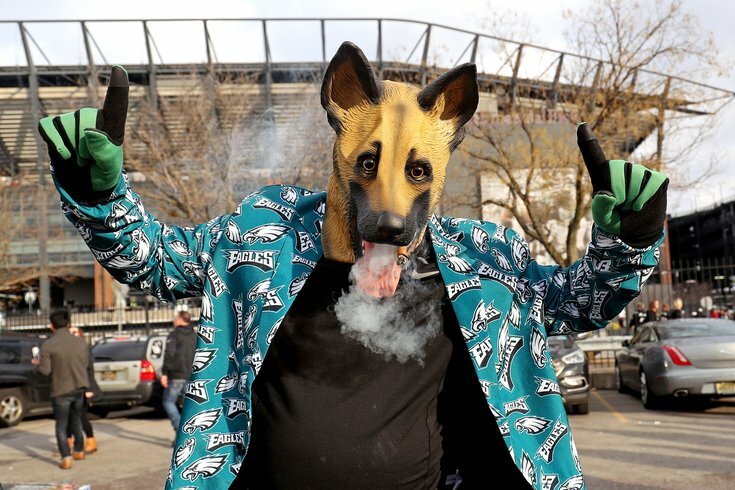 It's unfortunate that Eagles fans are saddled with a bad reputation on account of a tailgate scene, but at least something good has come out of the blowback. And ESPN noted, it can't hurt the Eagles' karma, either.